We recently purchased a Toshiba Satellite Pro L50 for a client, took it out of the box and started setting it up. About 2 hours later, I hear a bang and the circuit breaker trips. After smelling the power adapter; it smelt bad so it was likely blown, it was sitting about 1 metre away from me. Luckily the laptop survived and to Toshiba’s credit they sent a power adapter which arrived the next day (I left it running for 24 hours without issues). 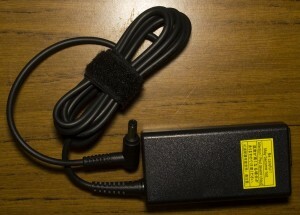 The power adapter is a 19V 3.42 (model PA5178E-1AC3, part PA-1650-60). After taking a dremel to the plastic casing, we’re in. 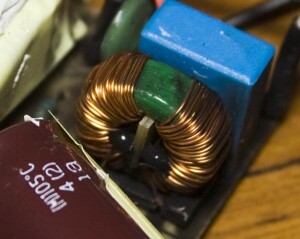 The metal shielding is connected to earth via a 1K resistor. So far no signs of damage. 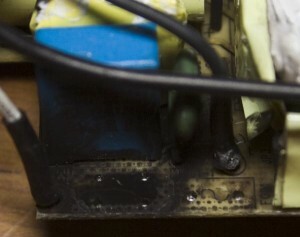 Now we see lots of charring on the bottom of the board and most of it is pointing to around the front where the mains is connected near the fuse. 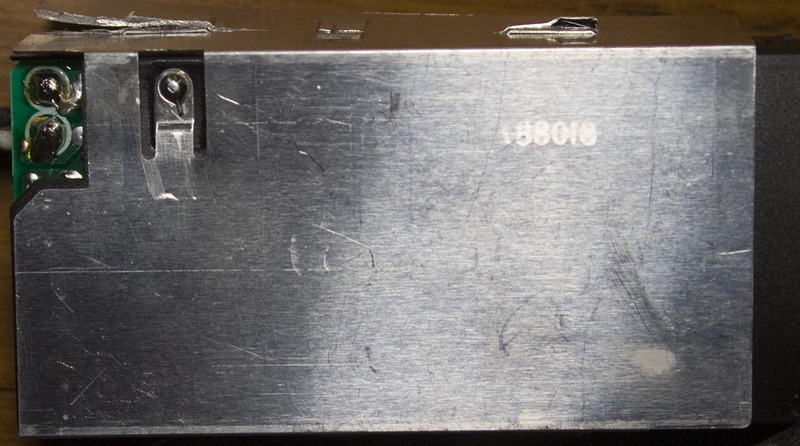 Just above the black connector we have the diode rectifier, notice the resistor chain to the left and the PCB’s silkscreen has good markings where the pads, rubber or glue should go. After desoldering the fuse, we can see that it’s blown pretty badly, it’s a 250V 3.15A. There must be some reason it’s blown or not? After cleaning up the tracks, we can better see the circuit and I’ve shown where the components go. I measured how everything connected together and found that the capacitors (blue) leads seemed to be shorted. 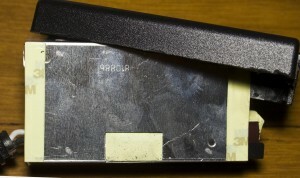 After removing it, the short was still there. 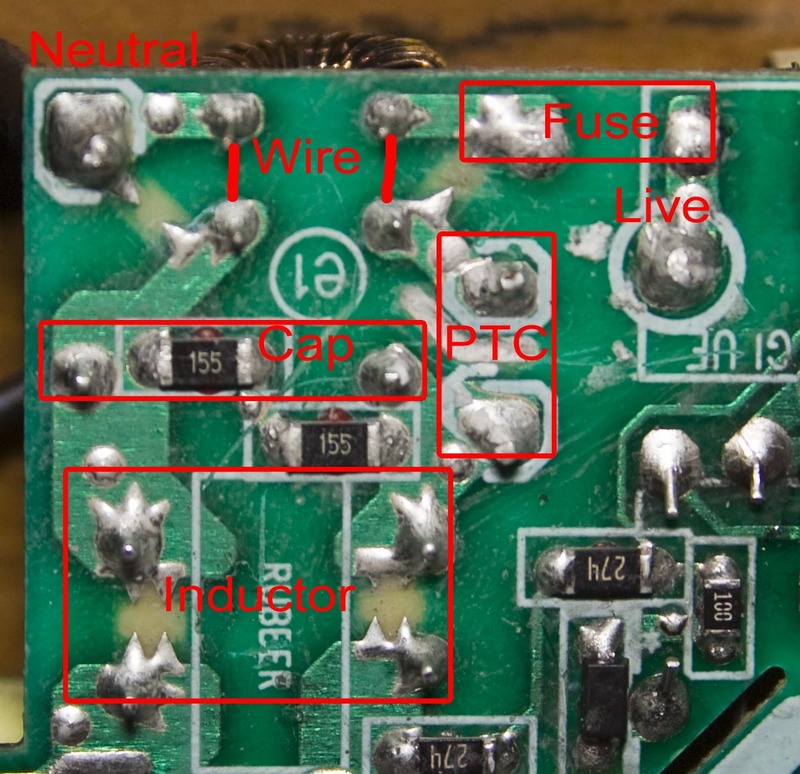 I took a quick look at a typical 90W power adapters design and there are multiple common mode chokes and capacitors on the input. 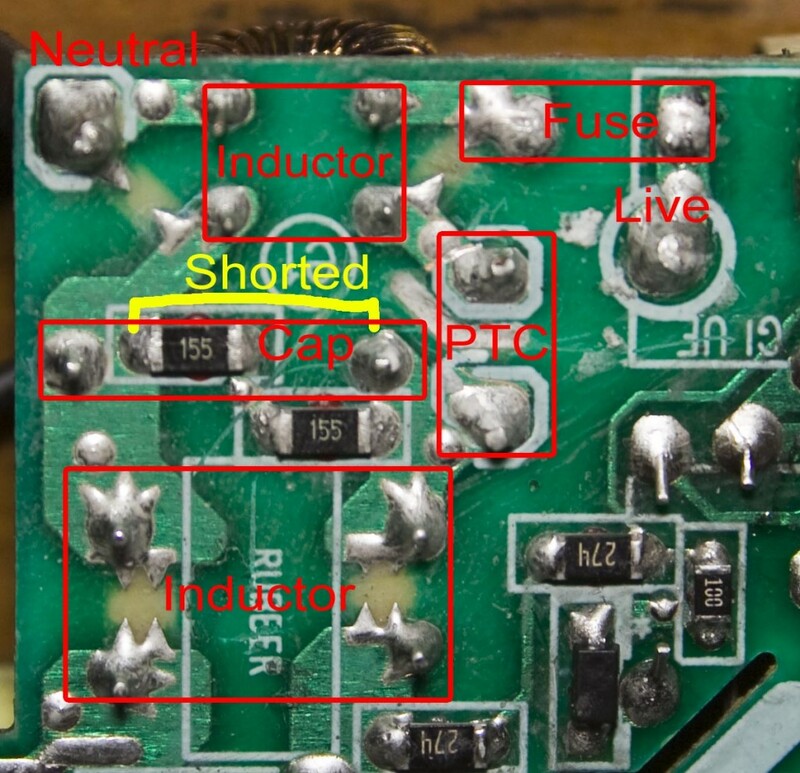 Once I re-measured the path everything took, I noticed that the bottom inductor where the spark gaps are shown is where the wires should connect up. 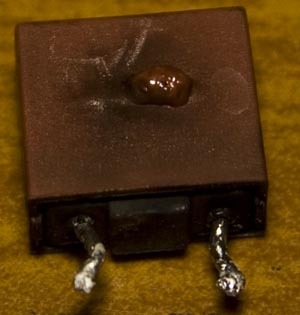 For the top inductor, this wasn’t the case even though the spark gaps are there too, it seems like one side of the inductor was going nowhere and the other side is where the short was. Once the yellow tape around the inductor was removed and the inductor was desoldered, there’s a even worst mark under where the inductor was. 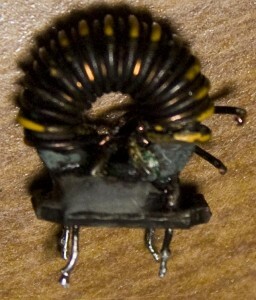 Poking the inductor a little bit and the wires were loose so somehow they must have shorted together. I’ve soldered 2 wires to replace the inductor and soldered in a new 3A fuse, I’m not planning to re-use this power supply but just wanted to see if it would power up – and yes it passed the smoke test, 19.5V on the output. Upon revealing the second common mode choke, it looks like an typical common mode choke should. So the question is why where they using a choke which didn’t have the separation that a normal choke has? Is it because it’s too large, too expensive, was it just swapped out at the factory or is it doing something else? it is worth it. but does it mean that after it has blown I have to purchase new soldering wire,fuse etc? I wouldn’t really use this power supply if it blows, I just wanted to see what the fix was, Toshiba did send a replacement power supply. But yes you will just need a fuse 250V 3.15A or similar and some wire (or a common mode choke similar to the one that fried). 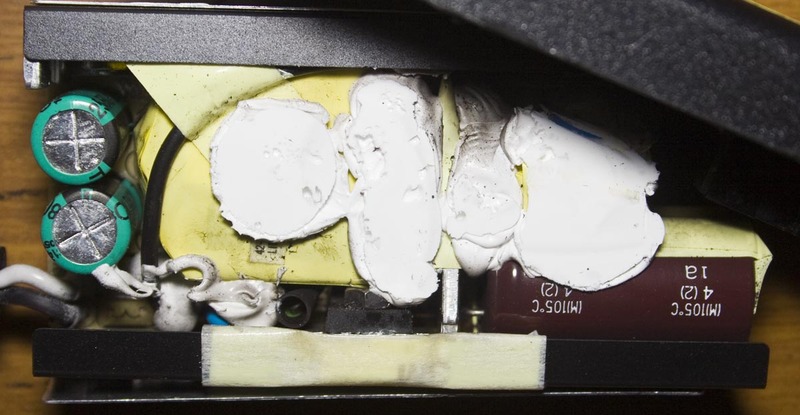 Hi, sounds like you’ll have to check the other components, see if there are any shorts, any other suspicious looking components that might be burnt, anything overheating if the fuse doesn’t blow straight away. 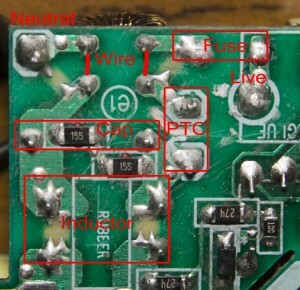 hi,I own a lenovo laptop,its adapter(65W 19v 3.42A) has gone bad(it can power the laptop but could not charge the battery).On travelling in train it often damages the power board present in the coach when connected.What could be the cause?The circuit of the adapter is similar to as shown above.I thought that the capacitors could be faulty but on seeing it ,it seems ok. 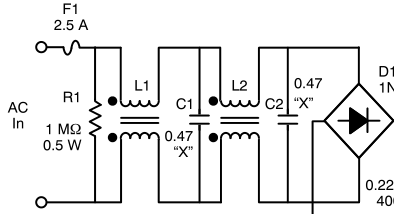 Yes, the PTC (or maybe it was an NTC) would be used for inrush current limiting. 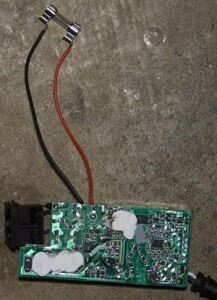 It would work without it but inrush current can lead to components being more suspect to damage. 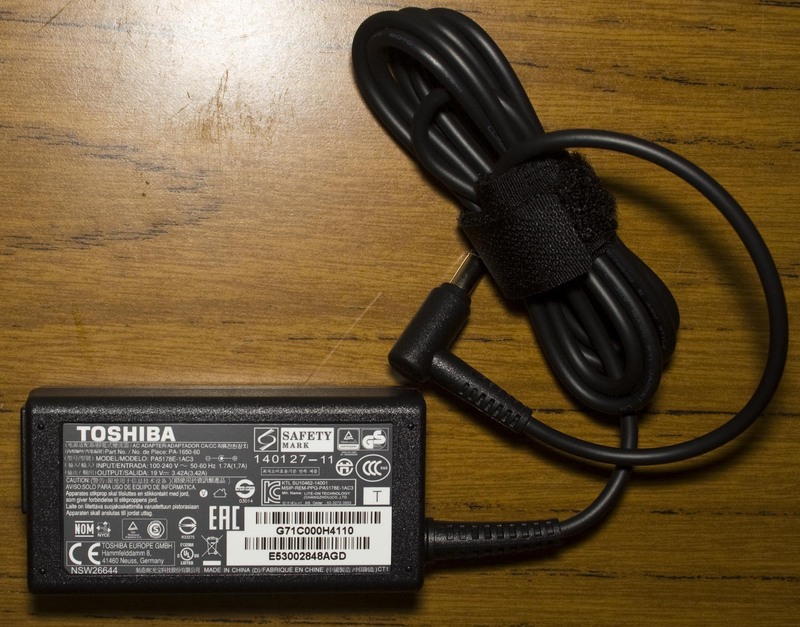 I just broke my Toshiba charger it’s the same as yours, there was a component I wasn’t able to identify, the component is connected in parallel with a polarized capacitor (120uf 420v)and it looks like a ceramic capacitor with marking r103k uk. 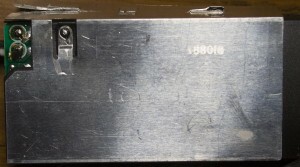 Can you help me identify the component?. If possible I will like to send you the pix. Sure, you can paste a link to the picture here in the comments section. If it’s marked, R103K, it would likely be a 10K resistor. If it looks blown, it could be shorting out the capacitor, so if you remove it, it might start working again. My lenovo thinkpad power pack was giving a screeching sound due to low current. After sometime, my pc wasn’t charging again and i could perceive an awful smell from the adapter, it looks like my fuse has been blown.. what can i do urgently apart from getting a new one? 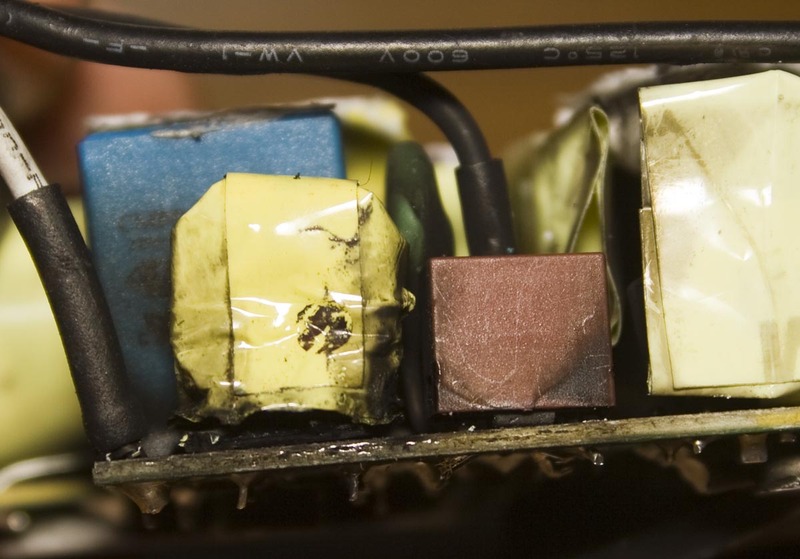 Hi there, The smell wouldn’t have come from the fuse, it would be the component that’s fried, so you will need to track down what component looks bad out of the board and replace it if you can. Most power adapters are sealed though so you would have had to dremel it, so I don’t really like the idea of re-using the power adapter unless you have a good way to seal it back up. Alternatives solutions would be to use a universal battery bank if you have one that can recharge your particular laptop, but the AC adapters aren’t too expensive nowadays especially if you grab the generic ones (but who knows how long they will last). Hi ,my AC adapter has blown after a lightning shock and the green light isn’t showing any signs of working. Check the fuse if you can as it’s probably the first thing that would have blown. But for the price of the adapters, I would just buy a new one or see if it’s covered under warranty. insideGadgets © 2019 All Rights Reserved. 42 queries in 0.105 seconds.